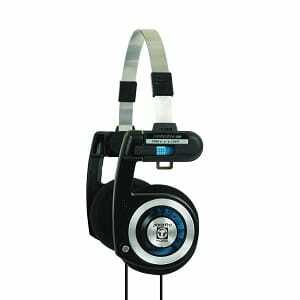 In this day and age where new headphone designs are churned out by the day, the Koss Porta Pro is almost like a relic – having retained the same look since 1984. Why change a good thing? As a basic, entry-level pair of headphones, they offer superb clarity and performance, making them a choice that many users keep coming back to even after three decades. There’s a reason why Koss hasn’t messed with the formula that makes these headphones tick with users. For their price, you’ll be hard pressed to find anything with a similar sound quality and audio performance on the market. While they probably won’t satisfy audiophiles, casual listeners who love bass will not be disappointed. Housing a pair of large mylar diaphragm drivers backed by neodymium rare-earth magnets, the headphones produce audio that is rich and smooth with lots of bass to spare. They have a frequency response between 15Hz to 25,000Hz, and are able to handle playing across a wide range of frequencies, especially the lows. Expect to both hear and feel the bass on very deep sub-bass tracks. Although lacking in finesse compared to some other brands, there is still a surprising amount of detail in the mids and highs. Despite the boosted lows, the overall effect is well-balanced and non-fatiguing to the ears. Oxygen-free copper coils deliver awesome clarity with minimal distortion. The headphones work best with rock music, recreating solid riffs and surging basslines with a punch. They also work well with modern genres such as pop, hip hop and electronic dance music – basically anything with a deep, tight bass. The wide sound stage and stereo sound gives users a sense of space. You’ll get the impression of a live arena with surround sound coming from all around you – which is impressive, considering the price of these headphones. The PortaPro has a sensitivity rating of 101dB and an impedance of 60ohms. While they are compatible with portable audio devices such as MP3 players and iPods, an amp might be required to boost the volume. They work best with home hi-fi systems, computers and laptops. 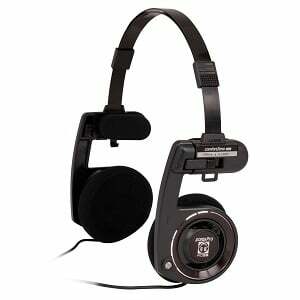 The Porta Pro was first released in 1984 – the same year the world was introduced to Apple products. But while today’s Apple products are virtually unrecognizable from their predecessors, the Porta Pro has held on steadfastly to a design that is old-school but retro-chick. 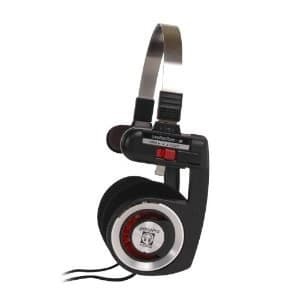 Since retro is making a comeback, it’s a great time to be showing off these headphones. Featuring a slim, metallic headband, the Porta Pro is easily distinguishable by its rather odd-looking multi-pivoting ear pads. Large and flat, they go on-the ears and the pivot helps to balance out the weight on your head. Not that they need it, since the headphones are lightweight at just 6.4 ounces. Shaped like the number five, the pads have ‘stems’ with switches, which are there for aesthetics rather than function. Meanwhile, an adjustable headband opens and close to fit different head shapes and sizes, ensuring the headphones stay securely in place even with vigorous movement. Made with portability in mind, they are collapsible for easy storage, although it would have been better if the pads could lie flat. The plastic body is light and looks flimsy, but feels surprisingly sturdy. Just try not to sit on the headphones by accident. If you’re looking for good noise isolation, then look elsewhere. While the Porta Pro delivers with good audio performance, their supraaural design means that audio tends to escape – your neighbour on the commute will be able to hear every single note of your music. Crying babies and rumbling engines will still sound loud and bleed into your audio, as their passive noise reduction is almost non-existent. There isn’t much to add on about the Porta Pro – not that we were expecting more, given their affordable price tag. The connector is a standard 3.5mm stereo jack, which is compatible with most portable audio devices. Sadly, there is no in-line mic so users will still have to purchase a separate piece of use the mic on their smartphones and tablets. The ‘switches’ on the side of the headphones are purely for show and offer no controls whatsoever. Many newer designs feature single-sided cables for convenience, but the Porta is dated and still has classic Y-shaped cables which are prone to tangling. At 3.93ft, they are not too long and can be brought outdoors – but it would have been better if they were detachable for easy storage. Also included with the set is a travel bag for protective storage. The bag even has enough room for storing a small MP3. For peace of mind, the headphones come with a limited lifetime warranty. When it comes to audio performance and quality, there are no complaints with the Koss Porta Pro: they deliver crisp and clear music with a deep bass kick and detailed mids and highs. The headphones are also portable, lightweight and compact, making them the perfect travel companions. However, there are a few trade-offs, such as poor noise isolation, a rather dated design, and the lack of a mic and controls. 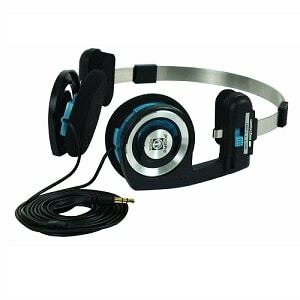 But for an entry-level, cost-effective pair of cans, these are great value for money. What Are the Best iPod Headphones?